Epilepsy is a major neurological disorder. Epilepsy-related health outcomes remain unacceptably low in much of the developing world. According to us, although hypothetically, it is because of the failure since long to see, and address, epilepsy beyond its preset conventional image. Many examples exist, (a) although it is often reported that epilepsy is highly incident in Africa, the fact that all of these studies were retrospective or cross-sectional and were conducted in biased populations, is not appreciated in the literature;  (b) Jacoby stigma scale (JSS) is often used to estimate "presence" of stigma but whether or not this stigma is "influential" (influences a person's daily life and choices) is rarely looked at. As a result, same result is obtained irrespective of the different particularities in the populations and populations continue to get labelized as being stigmatized. Many more such examples exist. The objective of this paper is to highlight the presence, and influence, of these conventional practices and also to demonstrate what happened when a bold unconventional approach to address epilepsy was taken in Cambodia. Factors other than infections have clearly far greater odds for epilepsy [Table 1], yet for some reasons, infections receive far more respect and reportage as epilepsy causes and risk factors. In Cambodia, factors related to pregnancy and birth (PREB) had highest odds for epilepsy that, in fact, re-validate the 1954 concept of "reproductive causality" of epilepsy. Focusing on PREB factors is beneficial for epilepsy for many reasons:  (a) Integration of epilepsy into already existing antenatal care (ANC) programs is at least theoretically feasible; (b) if integrated, this would mean epilepsy would become a "global initiative" since almost all countries have ANC programs; (c) epilepsy would benefit from resources of the ANC programs; (d) integration of epilepsy into ANC programs would concurrently increase the political interest level for the benefit of epilepsy; (e) such an integration can possibly be cost-effective also. If this is done, then it is possible to prevent up to 40% of epilepsy cases, as we estimated in Cambodia. 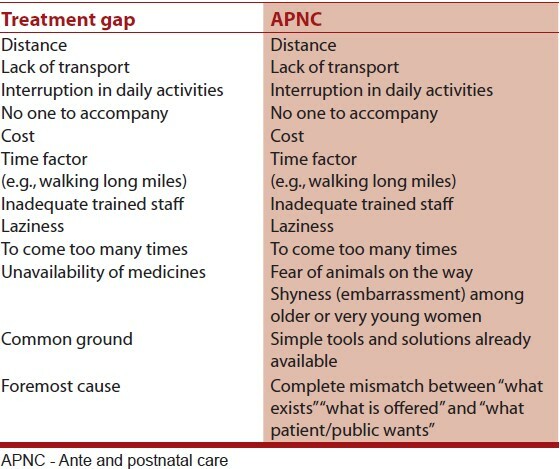 [Table 2] shows how barriers to the coverage gap are same for epilepsy and ANC. Now, the question arises why there are positive attitudes, beliefs, and practices in populations that are concluded to be stigmatized by the JSS? According to us, there are two explanations. Our first rather hypothetical reason is that for some reason JSS tends to give the same conclusion (i.e. stigmatize populations) every time it is used, irrespective of the reality in that population. Its effect is, in fact, compounded by what we give as our second possible reason. Secondly, calling one population as stigmatized is a too precious conclusion to rely solely on three small questions of JSS. While addressing psychosocial profile of epilepsy, it is important to not just take the stigma as the only parameter but to also "cross-check" this stigma through other parameters. In Cambodia,  we not only looked at stigma but also did "cross-checking" of this stigma with other important parameters such as determining what their self-esteem is? Were they discriminated and in which domain? Whether there was any social support for patients? What were their coping strategies? Was there any fear related to epilepsy along with degree and origin of fear? Was there ever any denial of epilepsy? Was there ever concealment of epilepsy? This approach allowed us to obtain a complete picture of what is there in the people's mind, something that can't be achieved using JSS alone. Several treatment programs have been tested in various populations; and common observations can be deduced easily from them. In Ethiopia,  Cameroon  and elsewhere, while it is possible to attract people toward taking initial treatments through primary-care initiatives, the attrition rate is always high. This is not unexpected if patients have to walk 20 miles to receive a consultation and treatment, every time, even in such "primary-care arrangements." In Ethiopia, it was also seen that attrition happens for exactly the same reasons due to which the treatment gap is originally high, e.g. distance to cover. This shows a gap between "what is offered" and "what is expected" by the population. Additionally, patients benefit if there is a periodic contact between service provider (SP) and patient; that may build confidence and perhaps protect against premature rupture of treatment as well. , This was seen in Tanzania also where nearly 3/4 th patients who were initially treated by physician had died when these were revisited after a certain period. Most of this mortality was epilepsy-related due to stoppage or irregular drug supplies. This shows the extent to which a continuous contact and utilization of a local resource (e.g. local SP) is crucial. We devised a novel award-winning approach called "domestic health visiting, (DHV)" through primary health center staff in ongoing projects in Cambodia and Laos. , Advantages of this approach are already discussed in details. 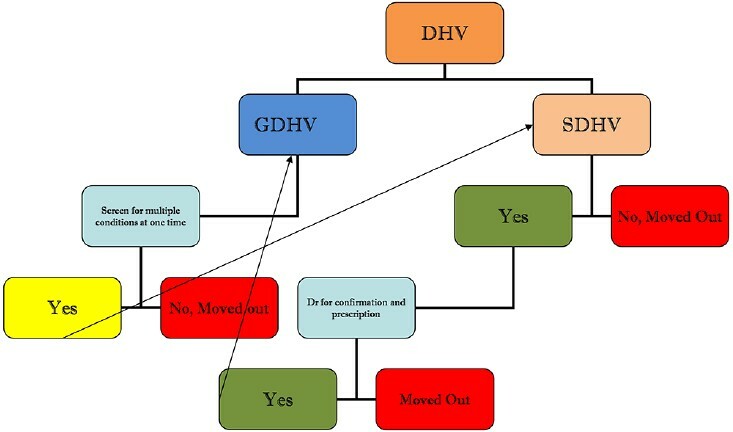 It is also demonstrated that how DHV can be generalized into a complete multi-disease system of healthcare service delivery [Figure 1]. Should epilepsy be always seen through its negative connotations? Could epilepsy be promoted as a positive-looking constructive disorder? Its diagnosis doesn't require sophisticated tools or huge innovations. It is highly desirable that a conventional approach toward epilepsy is shed, and we choose to move toward "opportunities" that are visibly present in epilepsy, rather than continue endlessly to focus on its negative aspects alone. Our Cambodian experience has also helped us to understand more intimately that opportunities do get identified when preset conclusions are questioned, and an approach that goes beyond expected and by default is taken. Kvalsund MP, Birbeck GL. Epilepsy care challenges in developing countries. Curr Opin Neurol 2012;25:179-86. Bhalla D, Tchalla AE, Marin B, Ngoungou EB, Tan CT, Preux PM. Epilepsy: Asia versus Africa. Epilepsia 2014;55:1317-21. Bhalla D, Chea K, Chamroeun H, Vichea C, Huc P, Samleng C, et al. Comprehensive evaluation of the psychosocial parameters of epilepsy: A representative population-based study in Prey Veng (Cambodia). Epilepsia 2013;54:1342-51. Bhalla D, Samleng C, Gérard D, Oum S, Druet-Cabanac M, Preux PM. Epilepsy in Asia: A Cambodian experience. Neuroepidemiology 2013;40:260-3. Bhalla D, Chea K, Hun C, Vannareth M, Huc P, Chan S, et al. Population-based study of epilepsy in Cambodia associated factors, measures of impact, stigma, quality of life, knowledge-attitude-practice, and treatment gap. PLoS One 2012;7:e46296. Ngugi AK, Bottomley C, Kleinschmidt I, Wagner RG, Kakooza-Mwesige A, Ae-Ngibise K, et al. Prevalence of active convulsive epilepsy in sub-Saharan Africa and associated risk factors: Cross-sectional and case-control studies. Lancet Neurol 2013;12:253-63. Bruno E, Bartoloni A, Zammarchi L, Strohmeyer M, Bartalesi F, Bustos JA, et al. Epilepsy and neurocysticercosis in Latin America: A systematic review and meta-analysis. PLoS Negl Trop Dis 2013;7:e2480. Kaiser C, Pion SD, Boussinesq M. Case-control studies on the relationship between onchocerciasis and epilepsy: Systematic review and meta-analysis. PLoS Negl Trop Dis 2013;7:e2147. Ngoungou EB, Koko J, Druet-Cabanac M, Assengone-Zeh-Nguema Y, Launay MN, Engohang E, et al. Cerebral malaria and sequelar epilepsy: First matched case-control study in Gabon. Epilepsia 2006;47:2147-53. Palmer BS. Meta-analysis of three case controlled studies and an ecological study into the link between cryptogenic epilepsy and chronic toxoplasmosis infection. Seizure 2007;16:657-63. Quattrocchi G, Nicoletti A, Marin B, Bruno E, Druet-Cabanac M, Preux PM. Toxocariasis and epilepsy: Systematic review and meta-analysis. PLoS Negl Trop Dis 2012;6:e1775. Nimaga K, Desplats D, Doumbo O, Farnarier G. Treatment with phenobarbital and monitoring of epileptic patients in rural Mali. Bull World Health Organ 2002;80:532-7. Bruno E, Nimaga K, Foba I, Vignoles P, Genton P, Doumbo O, et al. Results of an action-research on epilepsy in rural Mali. PLoS One 2012;7:e44469. Baskind R, Birbeck G. Epilepsy care in Zambia: A study of traditional healers. Epilepsia 2005;46:1121-6. Berhanu S, Alemu S, Prevett M, Parry EH. Primary care treatment of epilepsy in rural Ethiopia: Causes of default from follow-up. Seizure 2009;18:100-3. Bhalla D, Chea K, Hun C, Chan V, Huc P, Chan S, et al. Epilepsy in Cambodia-treatment aspects and policy implications: A population-based representative survey. PLoS One 2013;8:e74817. Choi-Kwon S, Chung C, Kim H, Lee S, Yoon S, Kho H, et al. Factors affecting the quality of life in patients with epilepsy in Seoul, South Korea. Acta Neurol Scand 2003;108:428-34. Yong L, Chengye J, Jiong Q. Factors affecting the quality of life in childhood epilepsy in China. Acta Neurol Scand 2006;113:167-73. Kasteleijn-Nolst Trenité DG, Verrotti A, Di Fonzo A, Cantonetti L, Bruschi R, Chiarelli F, et al. Headache, epilepsy and photosensitivity: How are they connected? J Headache Pain 2010;11:469-76. Jacoby A, Baker GA, ediotrs. The problem of epilepsy. In: Quality of Life in Epilepsy: Beyond Seizure Counts in Assessment and Treatment. London: Harwood Academic; 2000. Berhanu S, Alemu S, Asmera J, Prevett M. Primary care treatment of epilepsy in rural Ethiopia. Ethiop J Health Dev 2002;16:235-40. Kengne AP, Fezeu LL, Awah PK, Sobngwi E, Dongmo S, Mbanya JC. Nurse-led care for epilepsy at primary level in a rural health district in Cameroon. Epilepsia 2008;49:1639-42. Watts AE. A model for managing epilepsy in a rural community in Africa. BMJ 1989;298:805-7. Helde G, Bovim G, Bråthen G, Brodtkorb E. A structured, nurse-led intervention program improves quality of life in patients with epilepsy: A randomized, controlled trial. Epilepsy Behav 2005;7:451-7. Jilek-Aall L, Rwiza HT. Prognosis of epilepsy in a rural African community: A 30-year follow-up of 164 patients in an outpatient clinic in rural Tanzania. Epilepsia 1992;33:645-50. Bhalla D. Domestic Health Visitor program - Improving Access to Care for People Living with Epilepsy in Laos. Available from: http://www.grandchallenges.ca/grantee-stars/0325-04/. [Last accessed on 2014 Nov 25].